The call came as I was waist-deep in books. Literally. “Are you okay to talk?” my agent, Lauren, asked. I surveyed the pile of books, taking note of my lack of exit route. “Yes, of course!” After all, I’d read the blog posts and the stories, watched all of the videos about what it means when your agent rings you when your book is out on submission to publishers. My heart began to race. Then I heard the words offer and pre-empt and, three book deal and, even now, I haven’t fully recovered. I remained fully professional on the phone but after that, I burst into tears and spent the next week bawling my eyes out at the most mundane things. Because it was real. I had a book deal. The one dream I’d had since I was small, the one dream I’d had since I finished my book last summer and then got an agent, had come true. In June 2019, Hodder Children’s Books will be publishing my debut novel, The Paper & Hearts Society. It’s the book of my heart, about a book club, a literary road trip, the highs and lows of friendship, and there’s even a bit of romance too. And it’s going to be a series! There will be a second book out in 2020, and a third in 2021, and I’m over the moon that I get to stick with my characters (who are all my best friends) for the next few years. I hope you’ll love them just as much as I do! 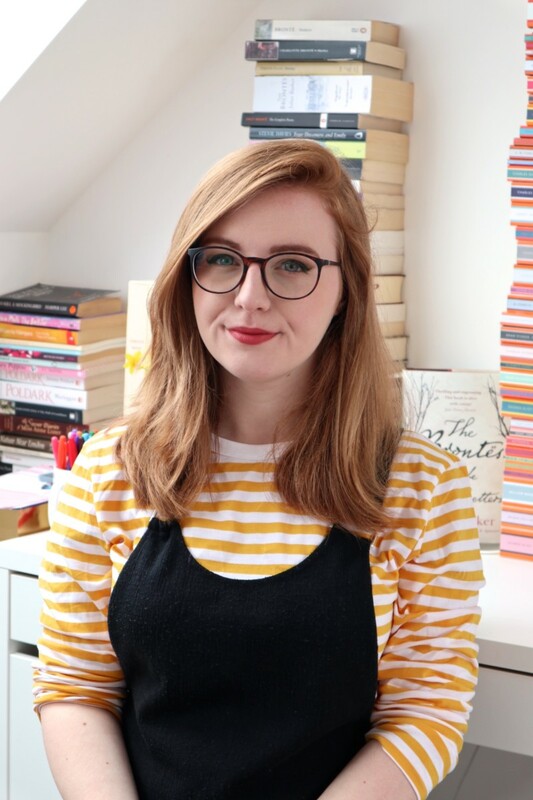 Hodder are part of the much larger Hachette Children’s Group, who publish so many of my favourite authors, like Cat Clarke and Chris Russell, Juno Dawson and Leigh Bardugo… Need I go on?! The past few months have been a blur of signing contracts, coming up with a new title and preparing for the reveal, amongst my exams and trying to act as if everything is normal. It’s been very hard keeping this a secret! I’m so excited to begin working on edits and then I’ve got the mammoth task of writing two more books. I will, of course, be documenting the entire process on my blog and my YouTube channel, and can’t wait to share more details as we get closer to publication next year. Thank you so much, dear blog readers, for supporting me over the years. I’m so excited to start this next chapter of Queen of Contemporary with my new author hat on, and I of course can’t wait for you all to read The Paper & Hearts Society next year. Congratulations! I can’t wait to read The Paper & Hearts Society! Wow this is so amazing! I watched your writing videos a few months ago and it’s amazing to see that your work paid off! I’m currently writing my first draft of my first book so this has given me hope! Well done Lucy. It’s so wonderful to hear about your book deal. The Paper and Hearts Society sounds great, we seriously need more friendship books in YA and I look forward to reading it next year. I’m so happy for you! I watch all your videos. I’m even reading a Thomas Hardy book! I can’t wait to read your book. I just know it will be fantastic. Thank you for inspiring me to write as well! I’m having more fun than I could ever have imagined! That’s amazing! It sounds so cute, a book about a book club would be right up my street! I’m wishing you the best of luck on your publishing journey!